Here are some of the designs I am currently working on. The first one is a design for on a black T-shirt. The design will be of the turtle Rhinoclemmys pulcherrima incisa. The design has 6 colours and will sell for 30 EUR. 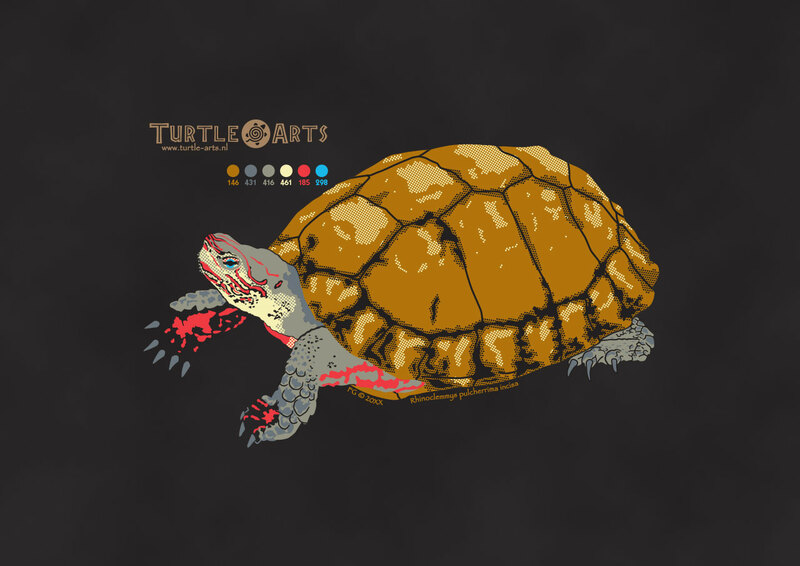 Another design I am working on is the turtle Cuora galbinifrons. Being a design with 7 colours, once finished, the shirt will sell for 35 EUR.